Add a layer of warmth with our extra soft, cozy microfleece vest. Lightweight, with an anti-pill finish, this cool-weather essential is also easy on the budget. 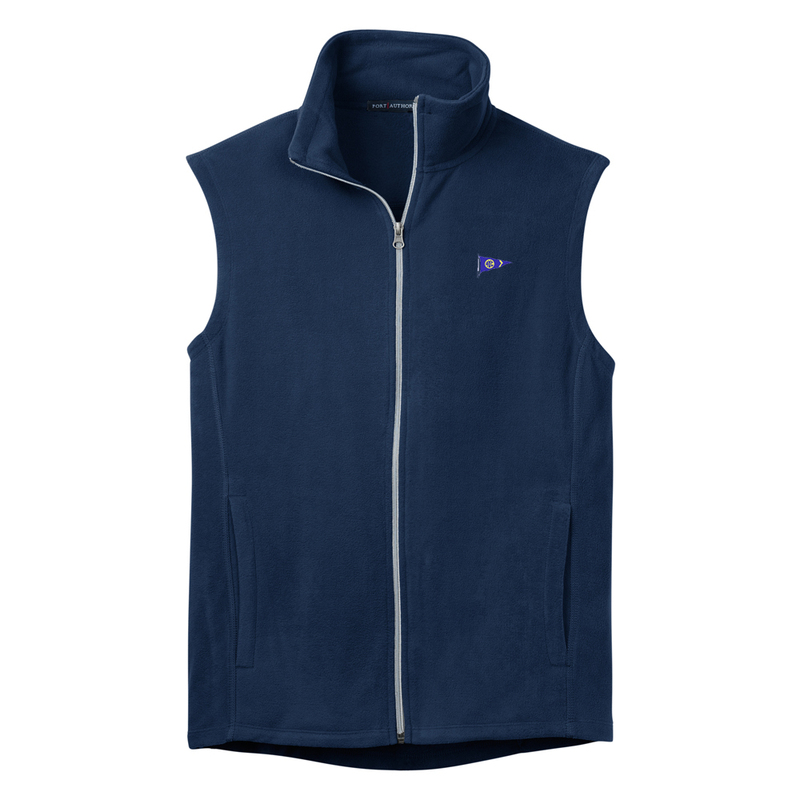 This fleece has the Avalon Yacht Club burgee embroidered on the left chest.